Kahu Silva, What is a Kahuna? Derived from the root word kahu meaning keeper, custodian, guardian, administrator and the nominalizing suffix na, the Hawaiian word kahuna translates into English as priest, minister, or expert in any profession; and to act as a priest or expert. Traditionally, the term kahuna generically referred to a learned person who possessed specialized skills and expertise in a professional field of study. 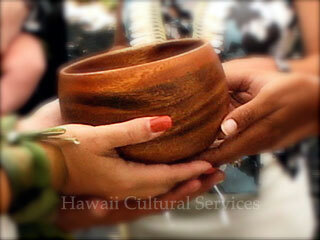 In the days of old Hawai`i, the kahuna were considered the scholarly equivalent to the academic doctorates of our time. Highly respected as master practitioners of their art or craft, they represented a very powerful elite class within the overall hierarchy of early Hawaiian society. The kahuna were acknowledged as the official keepers of the ancient knowledge and profound wisdom of the early Hawaiians. Are There Various Kinds of Kahuna? 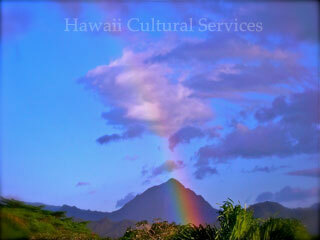 I ka wa kahiko, (in the ancient times), there were many kinds of kahuna experts. Each kahuna was uniquely defined and identified by a descriptive Hawaiian term specifying the individual’s professional qualifications or particular area of expertise. There were many types of kahuna include kahuna kalai wa`a (canoe carver) kahuna ho`okelewa`a (navigator), kahuna ho`oulu `ai (agriculturist), kahuna hāhā (diagnostician), la`au lapa`au (herbal doctor), kahuna ha`iha`i iwi (bone setting expert, chiropractor), kahuna ho`ohānau (midwife) kahuna kuhikuhi pu`uone (architect), kahuna nānā uli, (meteorologist), kahuna `anā`anā (sorcerer) kahuna pule (prayer expert, priest, shaman), kahuna kaula (prophet or seer), et al. The central connecting point or heart & spirit (mana).